Linear Actuators for Mobility Product Industry - Venture Mfg. Co.
Venture Mfg. Co. is dedicated to improving lives by providing quality, reliable, and economical products. 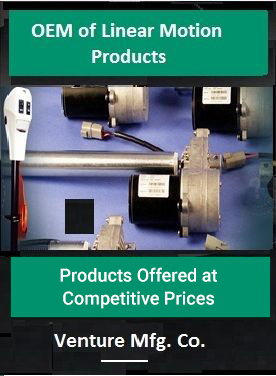 We provide electric actuators that are extensively used in mobility products. They are designed to operate efficiently while providing reliable motion of several components. These machines are designed to be compatible with other components present within the framework of the machine or vehicle. Thus, they are able to easily withstand the vibrations caused in these machines. They are mostly housed in a strong encasing that makes them insusceptible to the vibrations caused around them and also protects them from harsh environmental conditions. Crafted for domestic and personal mobility products, these actuators function quietly to adapt to the domestic surroundings. 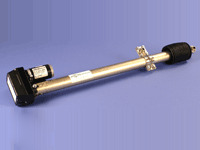 These actuators provide exceptional positioning feedback. They offer ease of operation. They are durable in nature and have the ability to withstand rain, high and low temperatures, and even dirt and dust. Actuators used in mobility products are designed to be able to withstand the rigors of the daily machine operations. 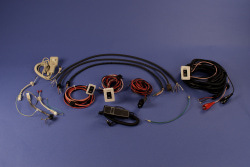 Electric actuators are used in several types of machine assemblies, such as the brake system, mobility, exhaust systems, seat adjustment, and other imperative parts of the motion products. Venture Mfg. Co. actuators are used in several mobility products like platforms, wheelchairs, steps, ramps, and many more. The actuators provided by us are superior in performance, provide seamless integration, and offer ease of operation.